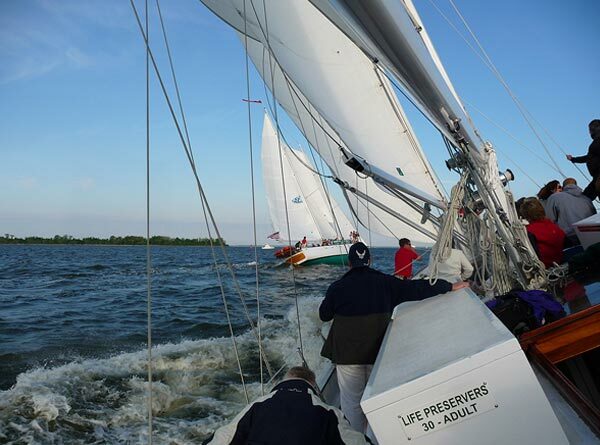 Relax and enjoy the beauty of Annapolis and the Chesapeake Bay, or take a turn at the wheel and hoist the sails. 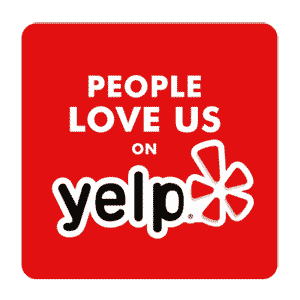 Don’t take our word for it—Check us out on Trip Advisor & Yelp. 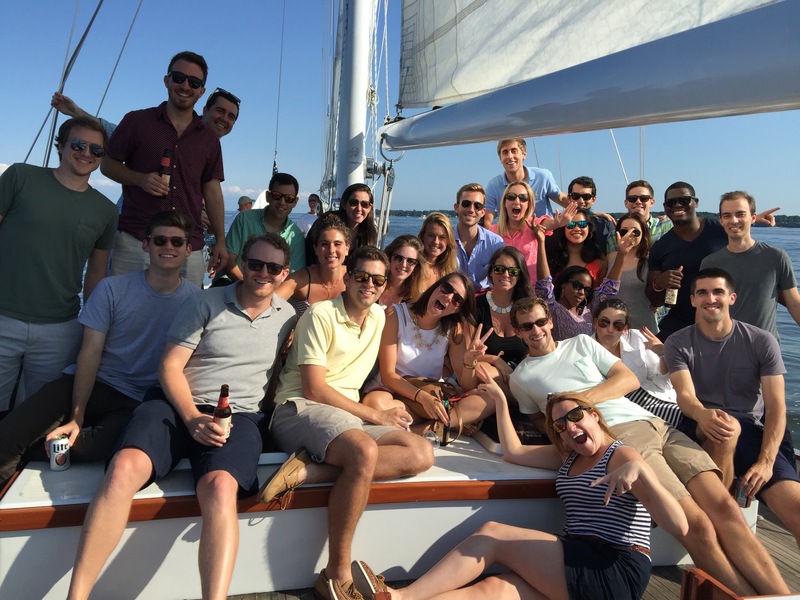 Where a team becomes a focused, high-performance crew. 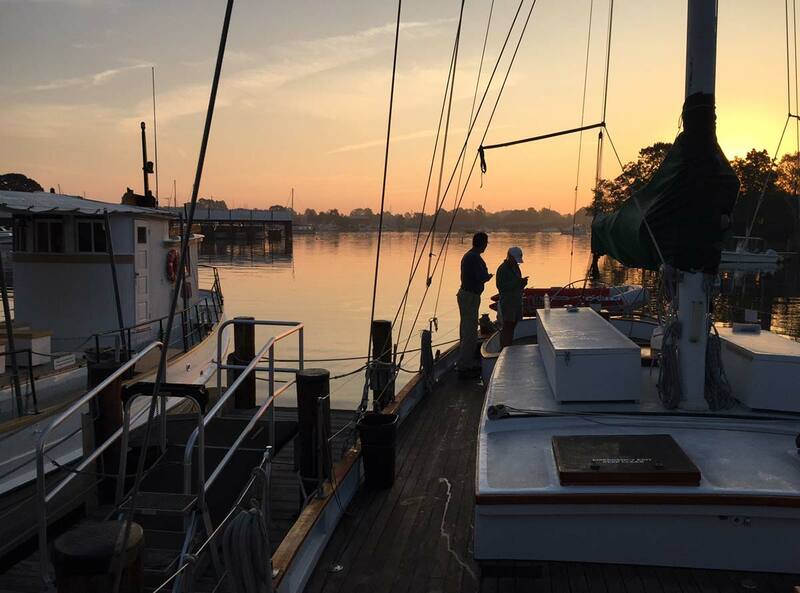 Join us on our two beautiful, wooden, 74-foot schooners, Woodwind and Woodwind II, for a true sailing experience in Annapolis, Maryland. 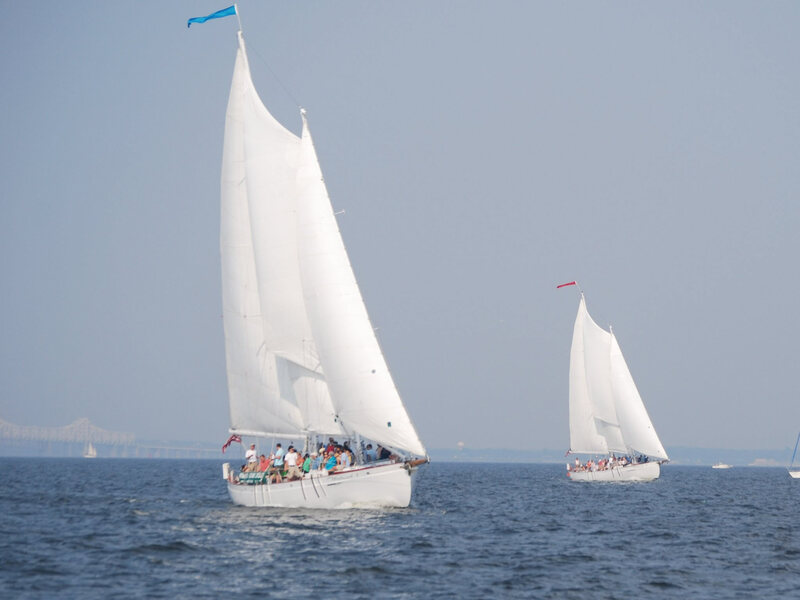 Located in the heart of the Chesapeake Bay, Annapolis is “America’s Sailing Capital.” Help raise the sails, steer the boat, or simply sit back and relax as Woodwind sails from the historic Annapolis waterfront, past the Naval Academy and cruises into the Chesapeake Bay. 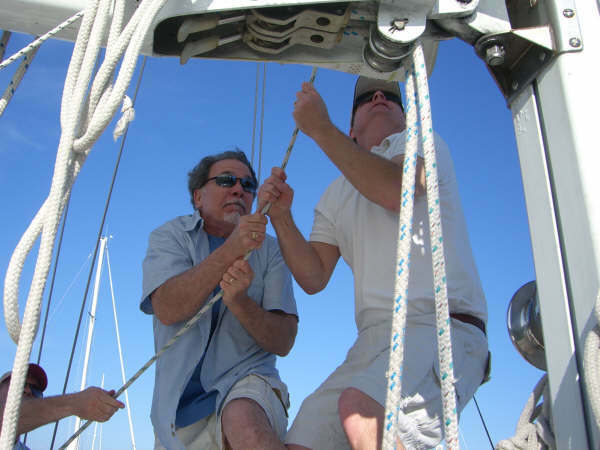 As a family business, we take great pride in making your sailing experience a memorable one. 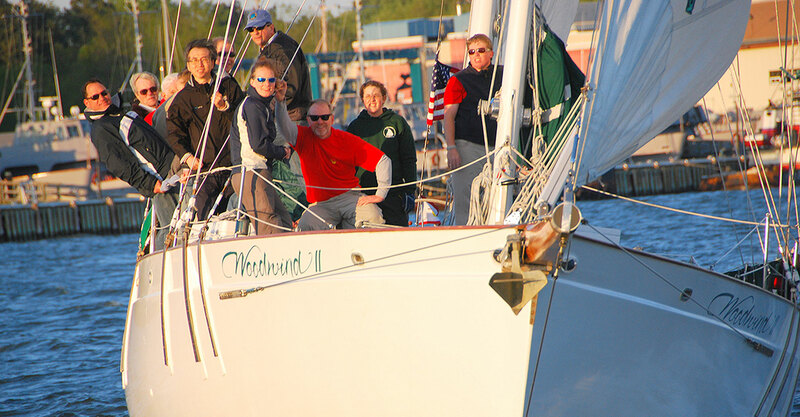 Our captains and crew are engaging and enthusiastic. 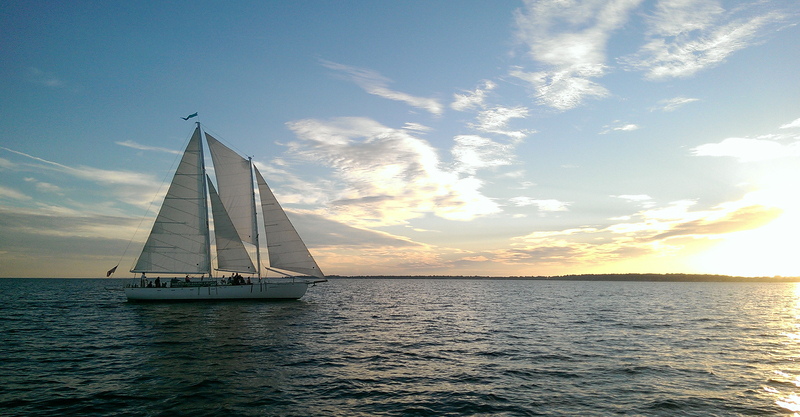 Sail away with us! 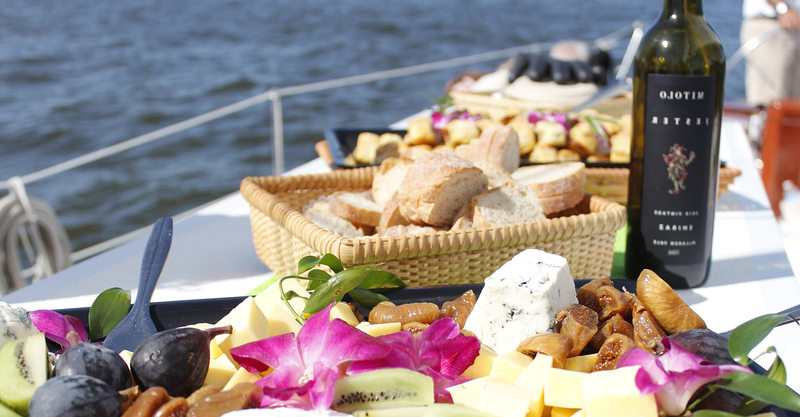 Make your sailing experience a memorable one! 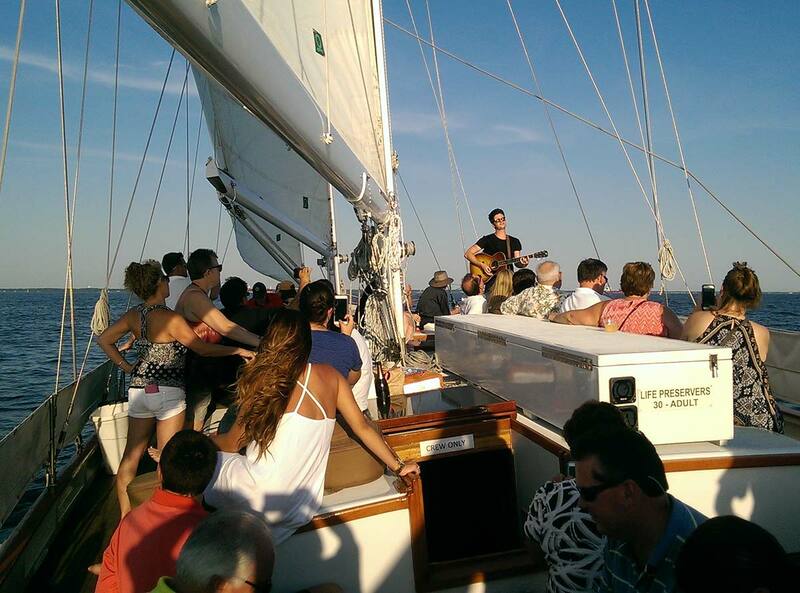 Sail away with us! 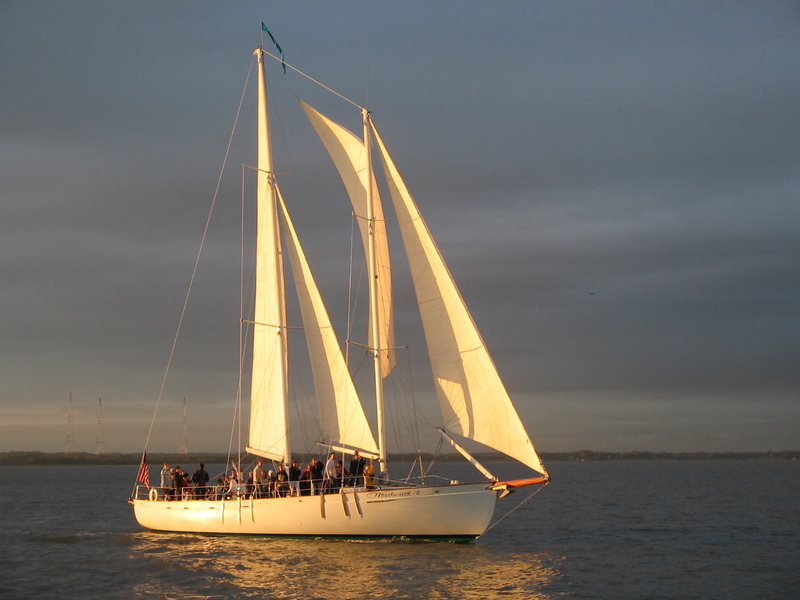 Sailing Season starts April 13, 2019. 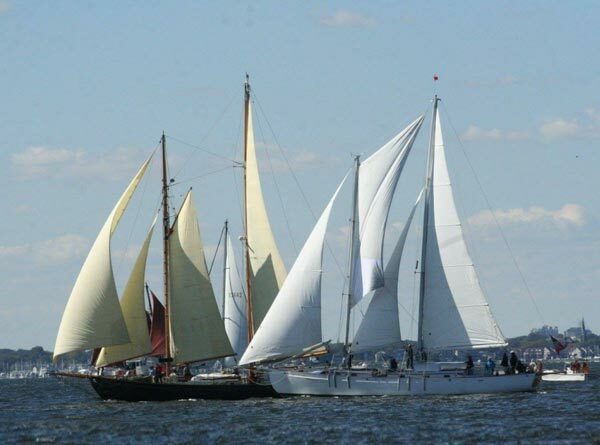 Participate in a breathtaking Parade of Schooners racing 130 miles from Baltimore’s Inner Harbor down the Chesapeake to Thimble Shoal at the mouth of the Chesapeake Bay. Join the fun Wednesday nights. 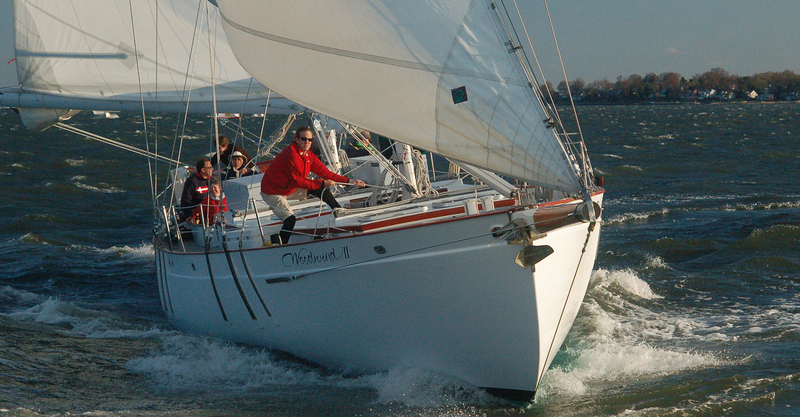 America’s Cup-style match racing between Woodwind I and Woodwind II. 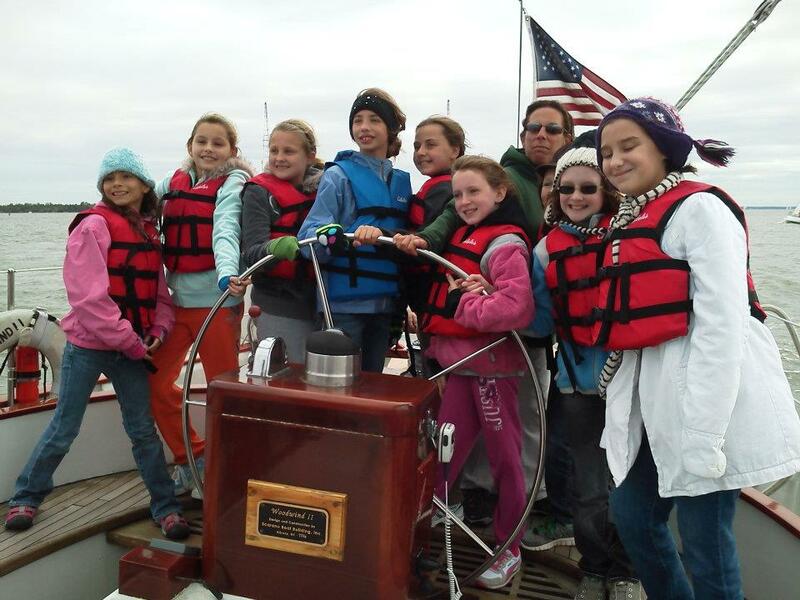 Passengers—guest crew—participate in helping sail and steer the boat! Purchase a gift card for any dollar amount you choose. 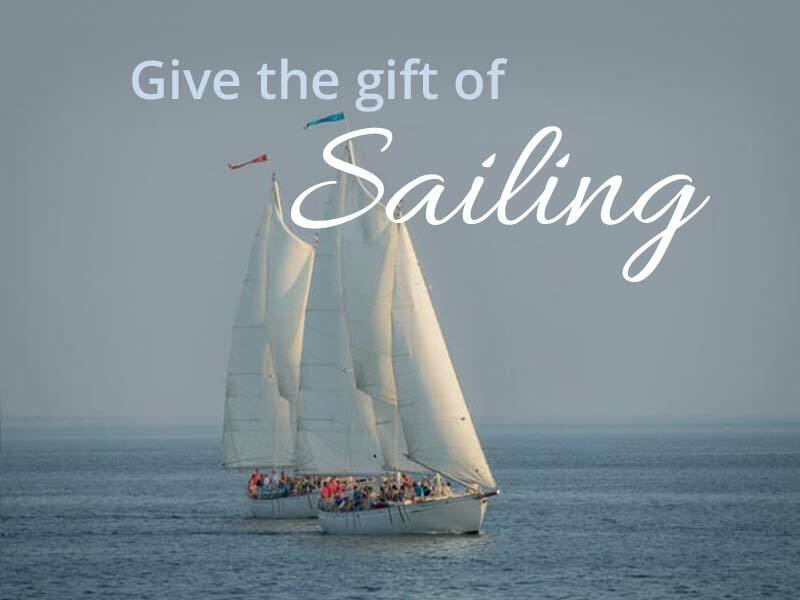 Use toward cruises, merchandise. Does not have to be used all at one time. 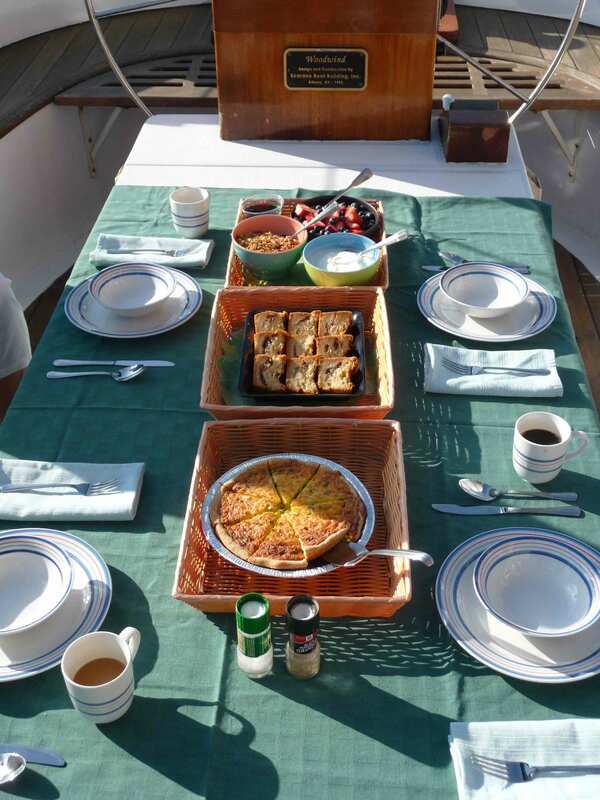 View our specials!